Blog Leaf vs Volt - Who is Winning Sales? With six months of sales under their belts, which is coming out on top when it comes to sales in the plug-in EV battle? 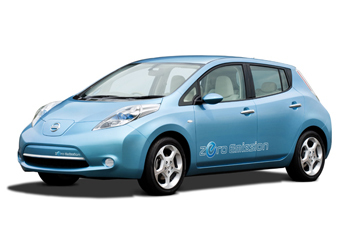 Apparently the Nissan Leaf has the lead with 3,875 sold LEAFs so far in 2011 while Chevy has 2,745 Volts sold. Granted they are different cars targeting different consumers with some overlap (see our Leaf vs Volt comparison article) and the Volt costs a pretty $8,000 more. To put it further into perspective, neither is even close to the Prius and hybrid vehicle sales figures- but that may change with time. Chevy is on track to sell 10,000 Volts this year with it’s recently upgraded plant now able to triple production and sales pace. Nissan, however, initially took orders for up to 20,000 Leafs in the U.S. this year, but their production and shipping schedule has been impacted by the recent Japan’s devastating March 11 natural disaster. It could be anybodies game at this point, but other auto manufacturers are paying attention. The winner of this battle could change the landscape of plug-in electric vehicles offered by other car companies.